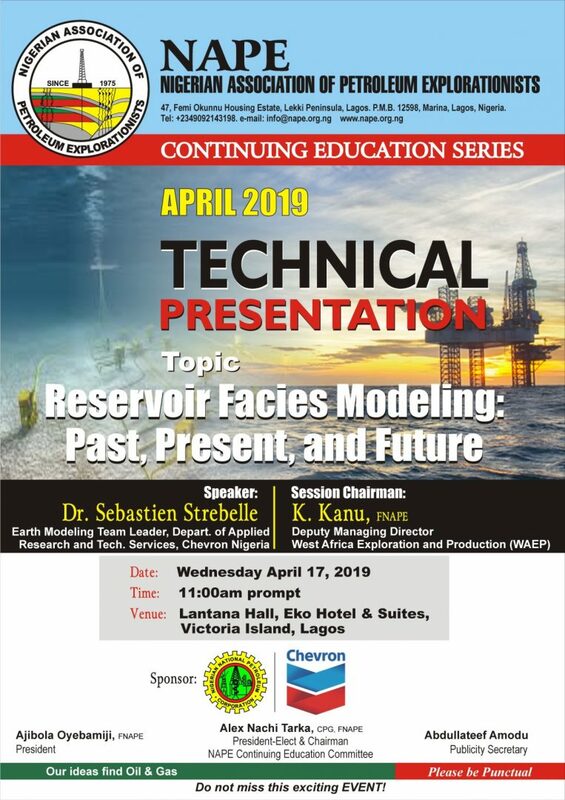 You are invited to the Lagos April 2019 Technical/Business Meeting which will be held on Wednesday April 17, 2019 at the Lantana Hall of Eko Hotel & Suites, Victoria Island Lagos by 11.00am. The Speaker is Dr. Sebastien Strebelle. The meeting is sponsored by Chevron.